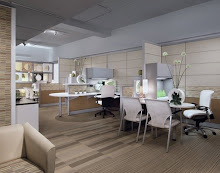 When you start the hunt for an office furniture source, it can be an overwhelming experience. Especially if you don’t like to shop! A) Find out who sells office furniture is in your area, 3-4 places is usually enough to start with, and will give you a good idea of who’s out there. C) Look online. Do they have a website? Do they have a good product variety? Are their prices reasonable? Are their product offerings and overall corporate image current/keeping up with the times? Referrals rock! Getting good references about various office furniture vendors/dealers from friends or associates will help and give you a better feel for who is best to use. 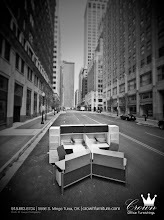 If you like someone’s office(s), ask them where they got their furniture! Ask them not only about price point and overall satisfaction, but if they would go back. And who was their sales person? Were they friendly, assertive at assessing their needs? 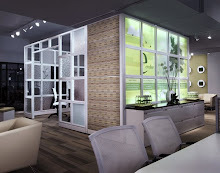 In recent years, online office furniture stores have become more popular. There is certainly merit to them and generally a good savings too. a) Check out their policies (and user’s reviews) for returning items, repair and parts replacement, and what to do in the event of freight damage. If they are not clear cut, you may get a great buy on the front end and a massive headache on the other end. If you are a business owner or manager with limited time, consider whether these extra hassles will affect your business and time management. The customer service is typically better in person and if you have an issue, a person on the phone may not be able to satisfactorily solve your problem as well as being able to go to the place in person and “eyeball” someone. b) Find out if product(s) you are considering require assembly. A Desk that looks like a steal at $300 may require 2-3 hours of assembly, which may not be such a great deal after all. Especially if you are buying multiples. How much is you and your employee’s time worth? Also, if whoever is assembling has no experience with building furniture and something is damaged because it is incorrectly assembled many commercial furniture manufactures will not warranty work done by the end user. They will though if a professional installer does. c) Find out if the prices include freight, and inside delivery or not. Sometimes by the time you add up the freight and assembly charges, you are the same as the local price. On large ticket items like office furniture, shopping locally is still the overall best route…and it keeps your hard earned dollars in your local economy. Doing business with a local dealer can be a great partnership that is very beneficial to your business. In smaller or family owned businesses, you will typically find that they offer a more relaxed shopping environment. They will get to know you and what your company’s needs are and will be handy in helping you find exceptional value and personalized service. A good salesperson will endeavor to assist you with offering great choices, & help you find the best value while keeping your bottom line in mind. They will remember you and your needs, and be looking long term at how partnering with your business will benefit both of you. Chain stores or dealers that are commission driven will not normally be able to provide this level of service. Also, typically the more you buy, the more you save. Instead of cherry picking at several places and paying retail, ask about quantity discounts if you buy it all together. Sometime the discount structure is already in place, but sometimes they can do more. Also, ask about office furniture overstocks,special buys and floor model specials. These are also great ways to save and a good sales person will assertively help you make purchases based on the best value for you. With years in the furniture industry, these are just a few guidelines I can offer geared toward helping you make the “where to buy” decision a little easier. Until next time, happy office furniture shopping! Also, if you have your heart set on going with a particular manufacturer (Herman Miller, Steelcase, etc.) you need to find out who their authorized dealers are in your area. Or, if you want to save money you can find a vendor who does refurbishing of these brands. Do you know anybody who assembles furniture? I'm going to get two chairs I'll need someone to put together. Thanks for the article. 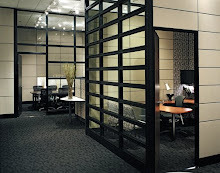 You can visit custom office furniture Miami which offer a range of furniture for office partitions in different style.